The fantastic Londonbased "consulting detective", famous for his astute logical reasoning, his ability to take almost any disguise, and his use of forensic science skills to solve difficult cases. 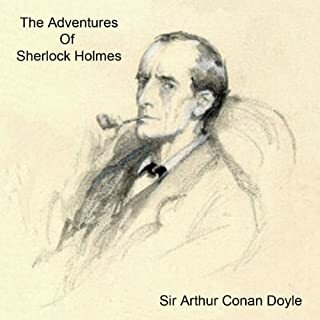 This nine hour audiobook contains twelve of his most exciting adventures! What didn’t you like about Peter Batchelor’s performance? The reading of these classic tales is very poorly done. Monotonous; with no break between stories. This may, in part, have more to do with the publishing of the work that the actual delivery. New York Times best-selling author Linda Lael Miller has earned a large and growing following for her wildly popular novels starring the Creeds and the McKettricks. As her many fans will attest, no one brings cowboys - and their affairs of the heart - to life in quite the way she does. With the author’s signature style, Big Sky Country delivers a scintillating tale that you will not want to miss. I enjoyed the story itself. The reader did an excellent job with identifying the characters and their moods. Over all I would gladly recommend this read to others; my one mark to the negative relates to the intimate scene sharing too much detail. I find alluding to their intimacy more satisfying than excessive details being spelled out. Fortunately this is a minimal part of the whole story. Amazing news has spread across the Scottish countryside. 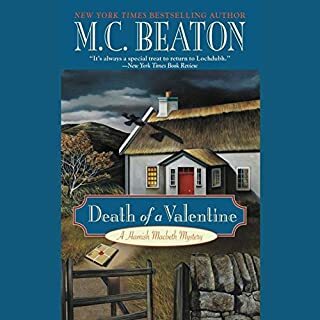 The most famous of highland bachelors, police sergeant Hamish Macbeth, may actually marry at last. The entire village of Lochdubh adores Macbeth's bride-to-be. Josie McSween is Hamish's new constable, and she is a pretty little thing, with glossy brown hair and big brown eyes. The local folk think that Josie is quite a catch, but Hamish couldn't be more miserable. I have enjoyed Hamish MacBeth for a long time now. This misadventure is as entertaining as the others.